image size: 6 5/8 x 9 1/8 in. frame size: 14 1/4 x 15 7/8 x 1 1/4 in. Protest happens in big and small ways all over the world. 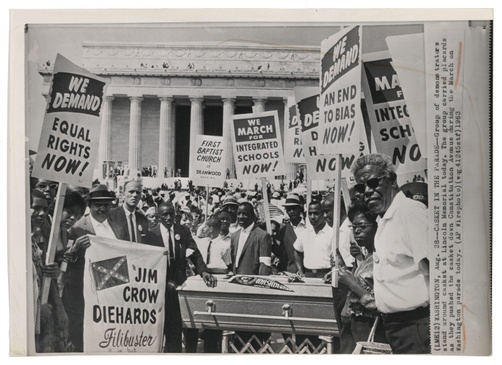 People gather to march with signs and slogans, stage sit-ins, and rally for common causes. 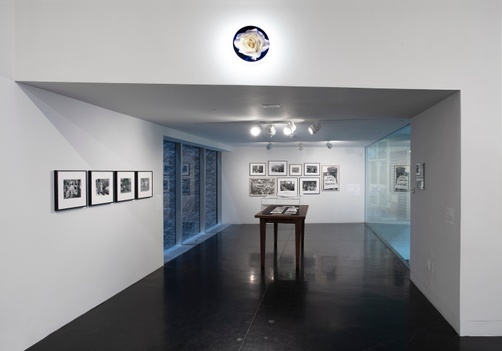 Photographers bear witness to these events, documenting that they occurred, and in distributing the images, countless others bear witness, too. 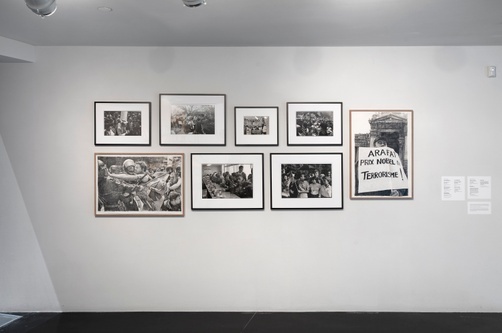 In Rirkrit Tiravanija’s drawings (copied from photographs by other artists) he removes context about the scene’s place, time, and purpose, questioning how we view such imagery. With so many events and atrocities vying for our attention, how do we focus on, understand, or remember? Once we visually testify to an event, what happens next?